The Chicago Bulls play Atlanta for an afternoon game on Saturday, April 1st. Join Henry! Here is how to get tickets! The popular 50-year-old Milwaukee location set up shop in the second city. In March 2017, the Safehouse Chicago, an eclectic spy-themed entertainment restaurant, opened for business. Jen went undercover as an informant to grab intel to share with all of the spies thinking about visiting this secret espionage headquarters. Time: 6:30 a.m. – 9:30 a.m.
Traffic Implications: From the official website – No Parking Zones along the course will be enforced beginning at 6 a.m. on Sunday, April 2, 2017. Please look for No Parking signs in your area for full details. Street closures along the route will occur between 8 a.m. and 11:15 a.m. The roads in Grant Park will be closed longer. City streets will re-open promptly as the final runners pass through (at a 15-minute mile pace). 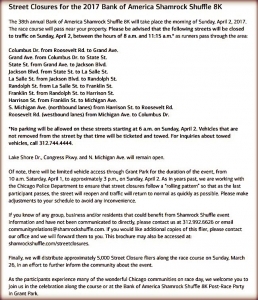 The Chicago Police Department will be responsible for closing and re-opening streets, they will do so in a manner ensuring runner and spectator safety. Please follow their instructions when approaching streets on the course. Do NOT attempt to block the race course at any time. *No parking will be allowed on these streets starting at 6 a.m. on Sunday, April 2. Vehicles that are not removed from the street by that time will be ticketed and towed. The Baconfest Manifesto states that Baconfest USA is in the business of creating bacon-related memories. Although the menu changes from the lunch session to the dinner session, the thing that remains the same is an abundant supply of local restaurants featuring their bacon-oriented dishes. Tickets are still available for all sessions here. True WLS fans can appreciate a live rendition of “Ride Like the Wind,” and there’s a small chance that dream can be made true this weekend. Visit the City Winery website to find our how to get in. Tickets and VIP packages are still available at the North Shore Center for the Performing Arts website! Bridge Repair Project on 115th Street over the Bishop Ford will be reduced to one lane in each direction, per the Illinois Department of Transportation. Nightly lane closures also will be required on the Bishop Ford under the 115th Street bridge, as needed. Red Line: Trains will operate from Howard every 7-8 minutes from 7am to 9:30am, and every 7-8 minutes from 95th/Dan Ryan from 8am to 9:45am. Blue Line: Longer trains will operate in both directions between O’Hare and Forest Park from 6am to 1pm. Brown Line: Longer trains will operate in both directions between Kimball and the Loop from 5am to 1pm. Added service is being provided for the convenience of customers attending the 2017 Shamrock Shuffle. What's on your agenda this weekend? 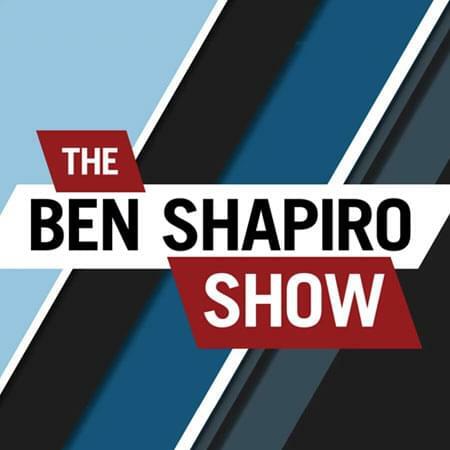 Send it over in an email, and it's just might pop up on Jen's A-Jenda and the Big John Howell Show!